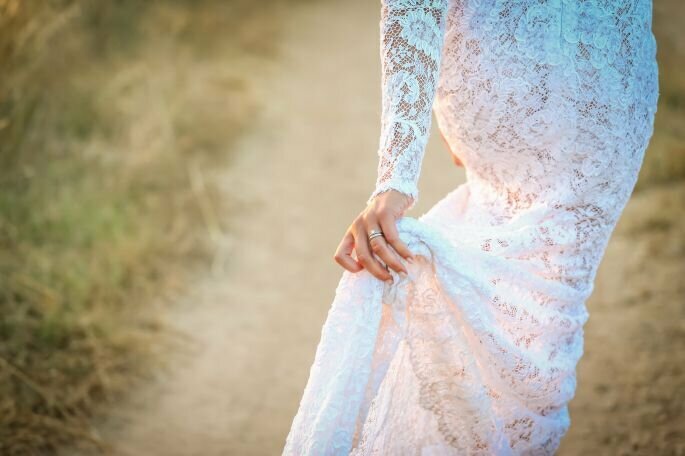 5 Types of Train for 5 Types of Bride: Choose the one that best suits your style! Unsure about the terminology related to wedding dress trains? Check out this article and put all your doubts to bed! 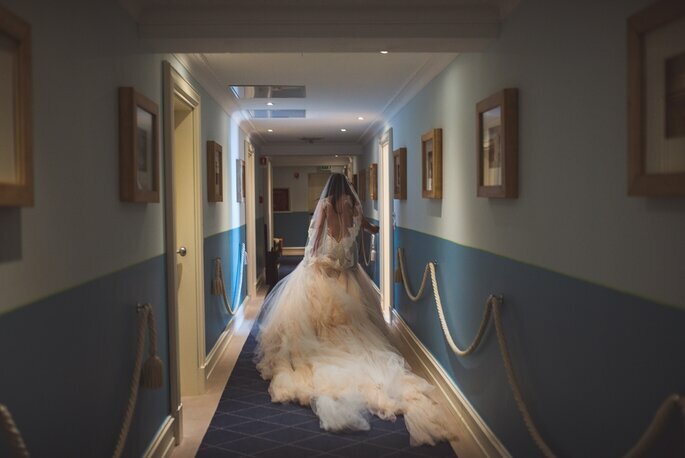 A floor sweeping train is one long enough to cover the feet of the bride and drag across the ground behind her. 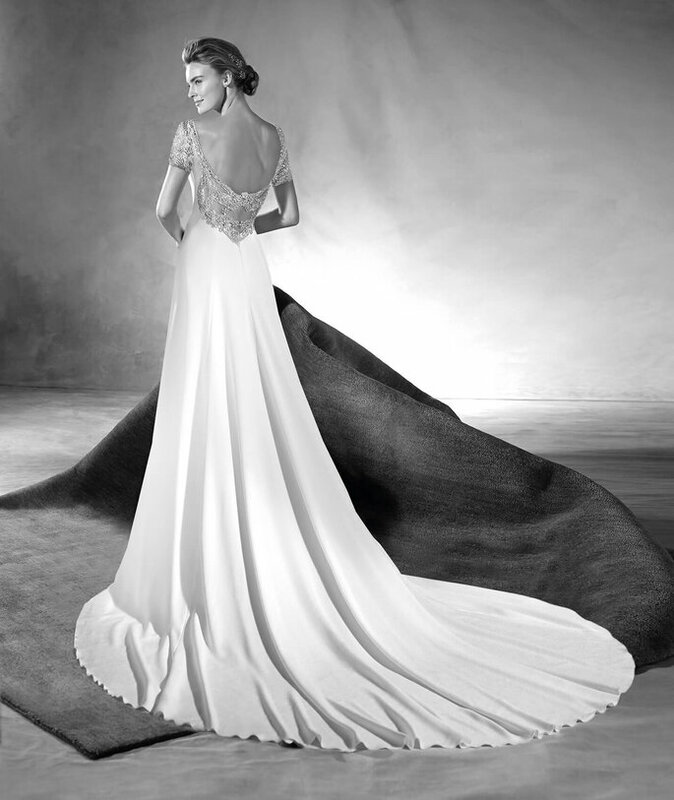 It is the most basic type of train which you will find on the most simple wedding dresses. Often found on empire-style models, made with fine and lightweight fabrics so that it doesn’t as much sweep the floor as it sweeps across the floor. The desciption is in the title: this kind of train gets its name from the clothes that ladies of the court would wear. If an avergae train is about 30 cm in length, a court train is longer, but no longer than a metre and is suitable for classical and traditional ceremonies. For brides who want to feel like a true princess on their big day, opt for a chapel train that reaches a metre and a half in length or cathedral which is even longer, at two metres. For the bride who always dreamt of having a very long train, we recommend a dress like the one worn by Victoria of Sweden on her wedding day. Indispensable, in this case, are the bridesmaids as it it’s they who will help the bride to get to her beloved at the altar without unnecessary difficulty. The cloak train is one of the major trends in 2017 and consists of the train starting from the shoulders and covering the entire back, as a cloak would. Its length depends on the height of the bride and the style of the dress. 1. Don’t choose a very long train if you are under 5’5″. 2. Something that is critical, especially when dealing with longer styles of train, is a small loop that allows the bride to slide it over a finger and hold it in one hand so she can interact comfortably with the guests and dance with ease. Whether it’s long or short, the train is bound to get dirty so the loop allows the bride to prevent it from sullying and discolouring by picking it up when she wants. 3. Another thing to remember when wearing a dress with a train is that you simply cannot, and therefore shouldn’t even try, to walk backwards. 4. Rule to remember: if you decide to go for a long veil, keep in mind that it should always be longer than the train. 30 Luxury Bridal Lingerie Sets by Poirier – the perfect foundation for the perfect dress.